"What's that gunk on your teeth!?" exclaimed my boyfriend one morning after watching me brush with Carbon Coco Whitening Powder and Toothpaste. I rinsed my mouth and tried to explain the power of pure charcoal to him! 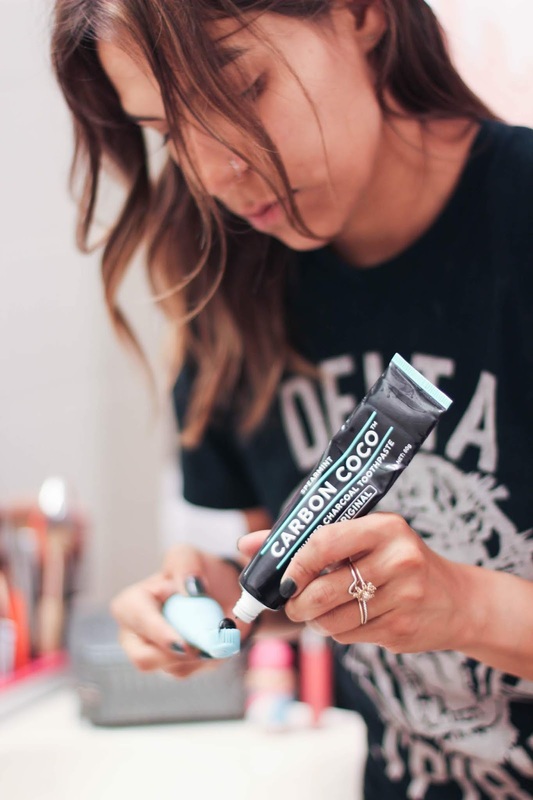 Carbon Coco uses activated charcoal to clean deep and lift stains on teeth with a two-step process that's simple and effective. 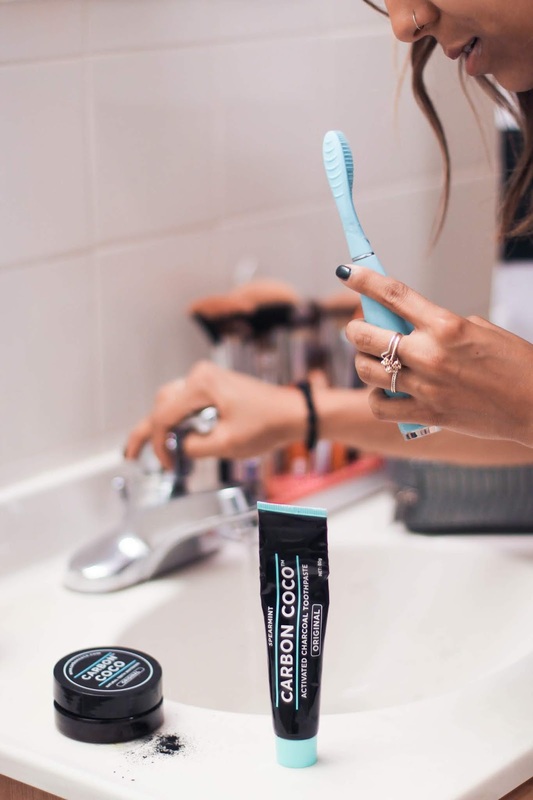 Step one uses Carbon Coco's Activated Charcoal Tooth Polish; Wet your tooth brush and dip into the mixture of organic coconut shell activated charcoal, bentonite powders, and lemon myrtle. I know, sounds crazy but those little bits pack a punch thats great for polishing and removing stains. Brush in small circles with the powder for a couple of minutes, and rinse, then step two follows by brushing with the deliciously minty Activated Charcoal Toothpaste. This is by far the best tasting of all the charcoal toothpastes I've tried, and I've tried at least three different ones this year alone. It's also the only one I've found with a dedicated natural whitener. Have you tried an activated charcoal toothpaste yet?! I kind of can't get over making funny faces at my boyfriend with a mouthful of activated charcoal-- worth it for the bedtime laughs alone! The toothpaste turns from deep black to grayish white when you brush and leaves your mouth feeling clean throughout the day. Buy it here, from Carbon Coco directly!